Good news, everyone! 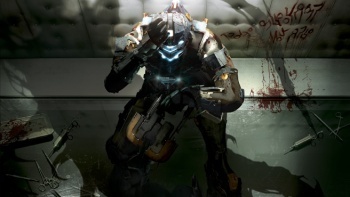 If you're planning to buy Dead Space 2 and Dead Space Ignition, EA will give you the latter completely free of charge. Dead Space Ignition is due out on XBLA and PSN later this week, but if you are planning to buy Dead Space 2 anyway, Electronic Arts has a special offer that will save you five bucks. So long as you pre-order Dead Space 2 from a participating retailer, then EA will give you a copy of Ignition at no extra cost. If you happen to pre-order Dead Space 2 at a participating retail store, you'll be given a code that you can take with you to immediately redeem for a copy of Ignition. Meanwhile, it's being reported that if you already ordered the game from one of these stores, all you have to do is show them your receipt and they'll honor the deal. A full list of the stores offering this deal hasn't been revealed yet. However, according to Eurogamer, GAME and Gamestation will be giving out codes in Europe, while GamePro reports that Gamestop and Amazon will do so here in North America (though, at the time this article was written, neither of their websites mention the Ignition pre-order deal).